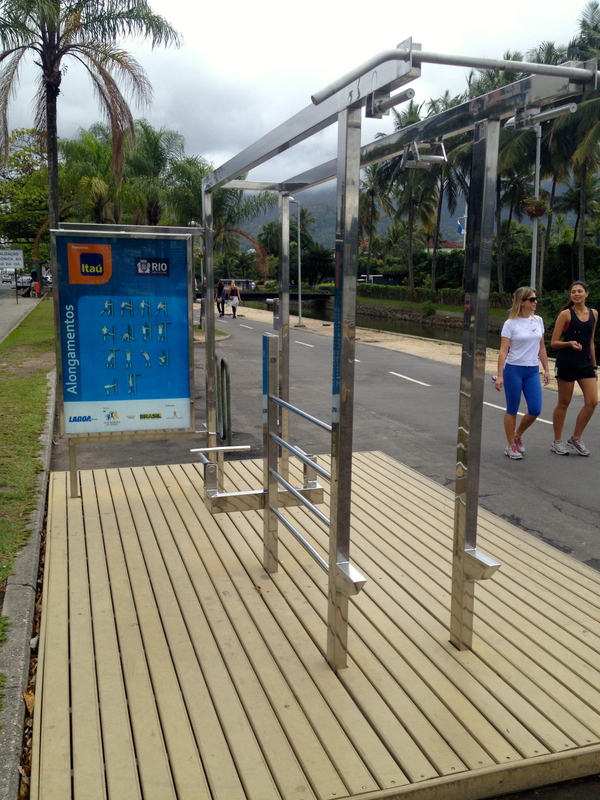 The last thing one pictures when preparing to visit a glamorous seaside destination such as Rio de Janiero is rain. 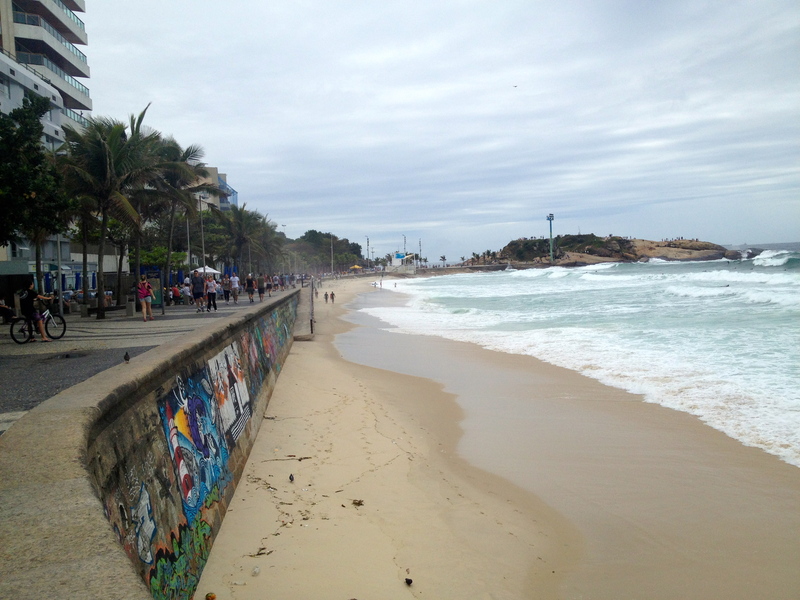 For my two days in Rio before the Habitat for Humanity build, I booked a room in a hotel right on the famous Ipanema beach and looked forward to a little extra bit of summertime lounging and then maybe taking a bus tour of the major sightseeing landmarks (Corcovado, Sugar Loaf). Imagine my disappointment when we landed on an overcast day that turned progressively chilly, damp, drizzly, then rainy. It reminded me of going to Maui one February and being outraged when it rained virtually every day – how dare it not be sunny and clear on my vacation?!? But secretly I was glad. Rather than spending a lot of money to sit on a tour bus for five hours (after an 11-hour flight), I much prefer to experience the city in the ordinary ways that natives do: going for a walk, shopping at the supermarket, sitting in a café writing in my journal. So that’s how I spent my day. 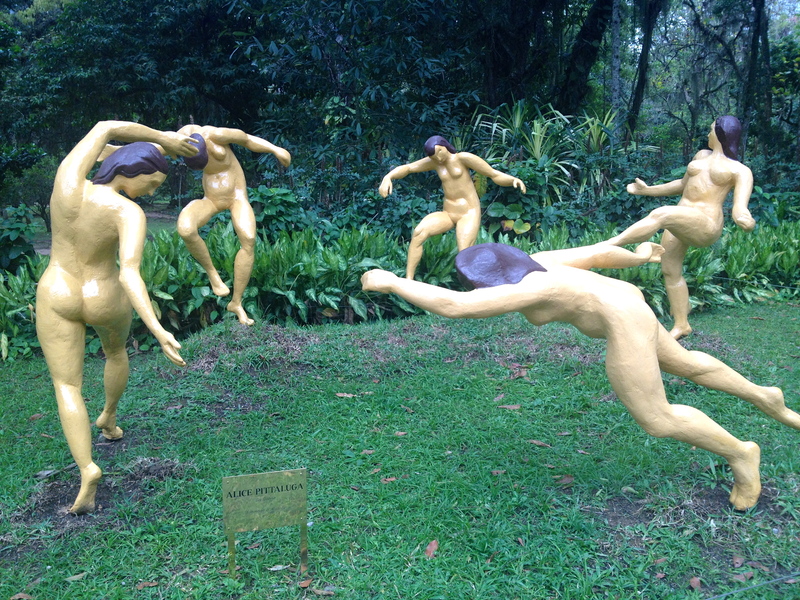 I Googled “What to do on a rainy day in Rio” and found the perfect write-up from a blogger who calls himself Gringo Rio, among whose several suggestions was a visit to the botanical gardens, rain or shine. 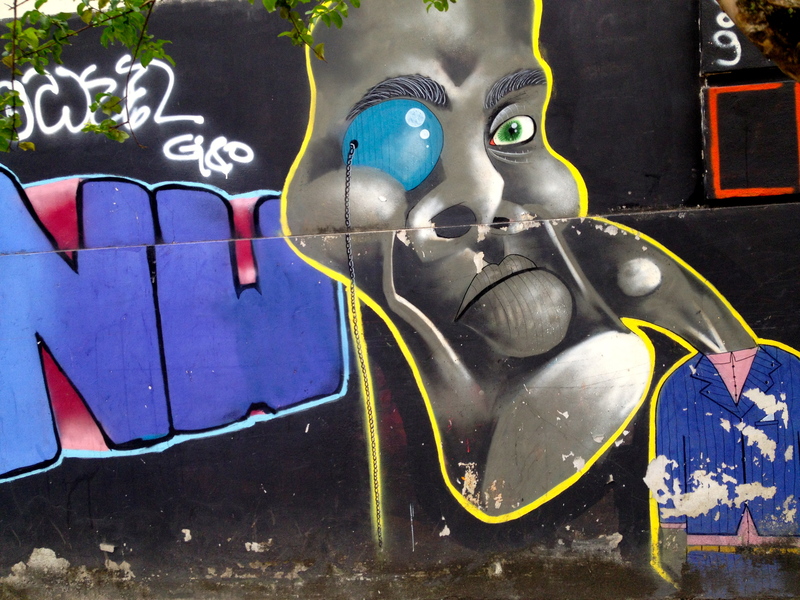 It was a leisurely 45-minute walk there through Ipanema and Leblon (chic adjoining neighborhoods) and along Lagoa Rodrigo de Freitas, the large lake in the middle of Rio. Of course, when I got there, I realized that I don’t give a hoot about gardens. I know nothing about plants and trees. 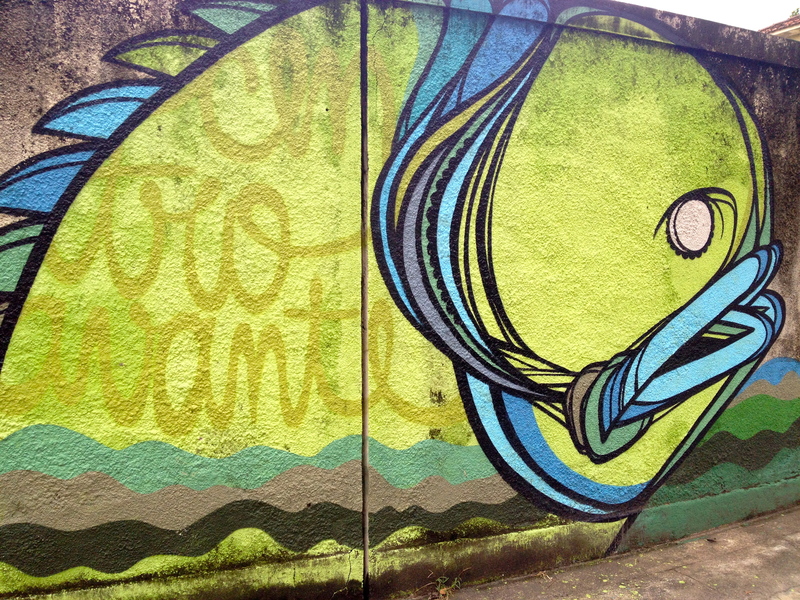 I had more fun taking pictures of public art (aka graffiti) on my walk and sitting in the café at the Jardim Botanico chatting with two strangers — a chatty Dane and a quieter Belgian — who met at the airport and seem to be having a travel fling. Every snack bar on the beach sells (for R$4) coconuts you sip with a straw. 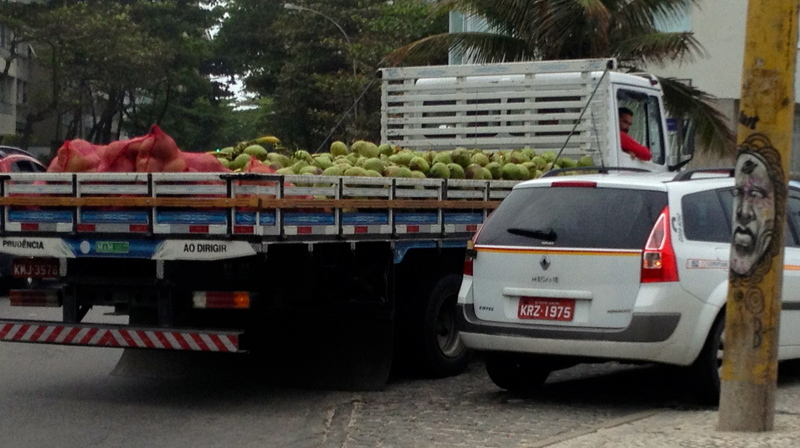 I idly wondered where all these coconuts come from, and then I saw this supply truck that circulates up and down Rio do Sul restocking all day long. 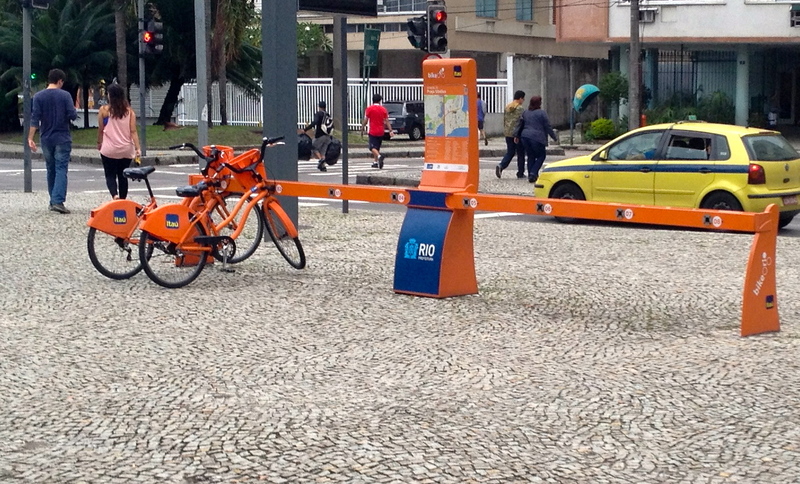 Rio is another bike-friendly city with a system that allows you to rent bikes and leave them at drop-off racks all over the city. 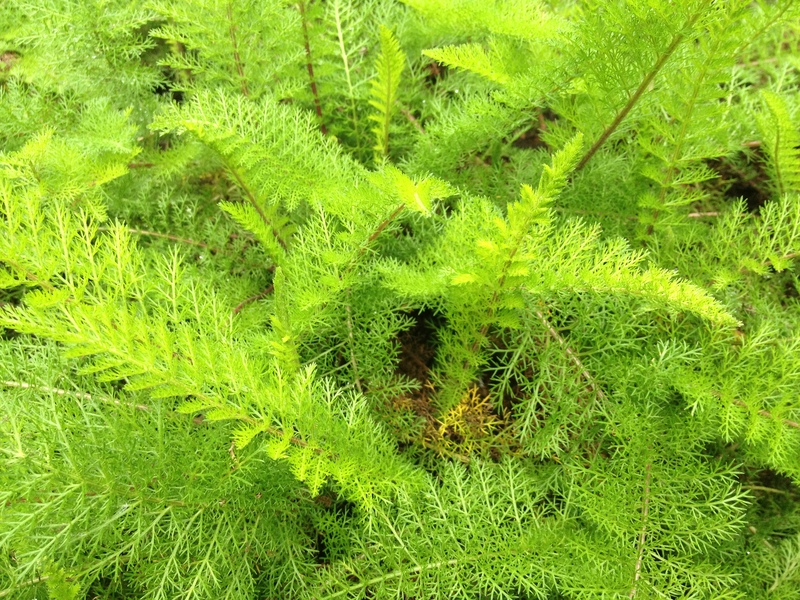 This entry was posted on	October 13, 2012 at 9:52 pm	and is filed under Photo diary.